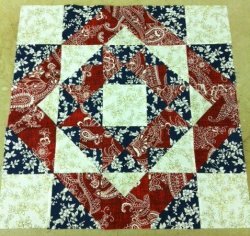 This block of the month makes a queen size quilt in patriotic reds, whites and blues. 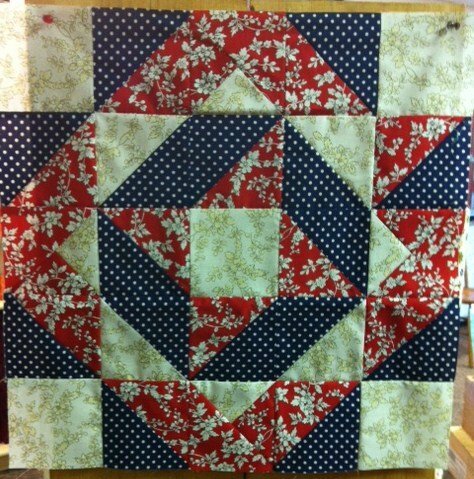 April 13 we are getting closer to the beauitful finish of this great quilt. 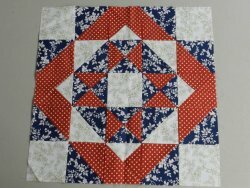 Kits are $25.00 (plus shipping) per month for twelve months. You get the pattern and all fabrics with your purchase. We also have prize giveaways at our monthly get-togethers, so make plans to join us on the 2nd Saturday of each month at 10:30am..